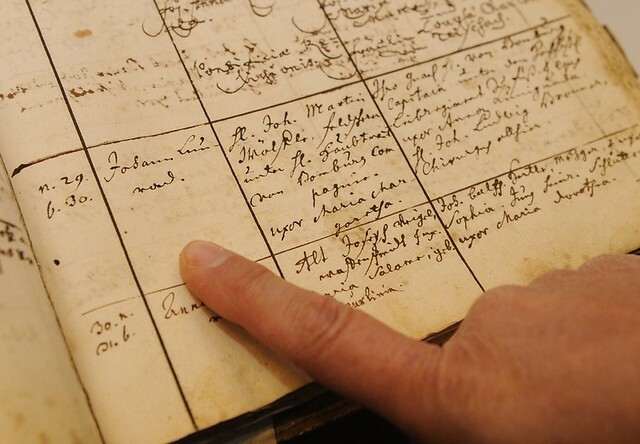 Your family tree might contain a few curious revelations. It might alert you to the existence of long-lost third cousins. It might tell you your 10-times-great-grandfather once bought a chunk of Brooklyn. It might reveal that you have royal blood. But when family trees includes millions of people—maybe even tens of millions of people—then we’re beyond the realm of individual stories. As we ruminate on roots, we might spare a thought for Sara Josephine Baker; she died on this date in 1945. A physician and public health pioneer, she was active especially in the immigrant communities of New York City. In 1917, she noted that babies born in the United States faced a higher mortality rate than soldiers fighting in World War I, and undertook her fight against the damage that widespread urban poverty and ignorance caused to children, especially newborns. She founded the Bureau of Child Hygiene after visiting mothers on the lower east side, was appointed assistant to the Commissioner for Public Health of New York City, then headed the city’s Department of Health in Hell’s Kitchen for 25 years. Among many other initiatives, she set up free milk clinics, licensed midwives, and taught the use of silver nitrate to prevent blindness in newborns. She is also known for (twice) tracking down Mary Mallon, the infamous index case known as Typhoid Mary. In 2015, more than 1.5 million people were killed by animals. That’s a startling figure. To put it in perspective, that’s about the same number of people who died from HIV/AIDS or diabetes last year. 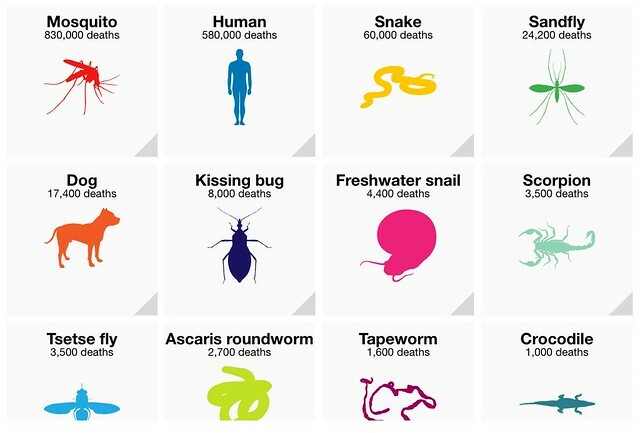 Some of the culprits are the usual suspects of the animal kingdom. Lions, for instance, with their incredible ability to stalk prey, are responsible for the deaths of about 100 people. Hippos, very territorial, are more dangerous, claiming about 500 lives. Crocodiles are even more deadly, killing 1,000 people. 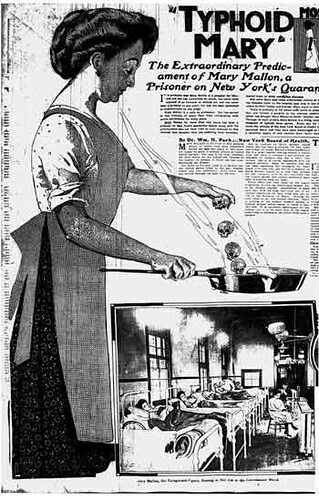 As we slather on the DEET, we might recall that it was on this date in 1938 that Mary Mallon– “Typhoid Mary”– died of a stroke on North Brother Island, where she he had been quarantined since 1915. She was the first person in the United States identified as an asymptomatic carrier of the pathogen associated with typhoid fever… before which, she inadvertently spread typhus for years while working as a cook in the New York area.